A world leader in protective treatment of fabrics and carpets. Cunningham’s has decades of experience in the cleaning, restoration, and maintenance of textiles and soft goods. We’ve invested a significant amount of time into researching and testing fiber protectors to ensure that our clients are provided with the best performing products. Fiber ProTector can be used to protect all textiles even the finest natural ones. Fiber ProTector does not affect natural properties in appearance nor touch, such as breathability or surface texture, and it does not affect other fabric treatments such as fire proofing or anti-static treatment. Having your upholstery and carpets protected with Fiber ProTector will keep them looking new longer. It also prolongs the overall lifespan of upholstery and carpets as it reduces the need for excessive cleaning. Fiber ProTector is the best product for the protection of upholstery and carpets, because we specialize, innovate and care for your investment. Fiber ProTector is a world leader in protective treatments and provides the most effective level of defense available for your textiles. 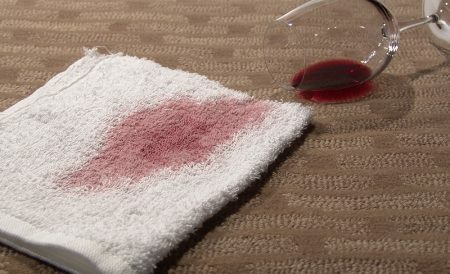 It’s a long-term safeguard against not only spills and stains, but minimizes the natural breakdown of textile fibers due to everyday traffic. It allows almost any liquid to be easily removed from practically any soft material, significantly reduces static build-up, and provides excellent ultra-violet protection to prevent color fade. By protecting the fibers, cleaning is performed more efficiently and the appearance of soft furnishings is significantly enhanced. Treated fabrics, leather, and carpets will outperform untreated materials and those treated with other products. It’s the next generation of technologically advanced treatments, and prevents the spread of bacteria through carpets and fabrics that would usually act as a breeding ground for germs. 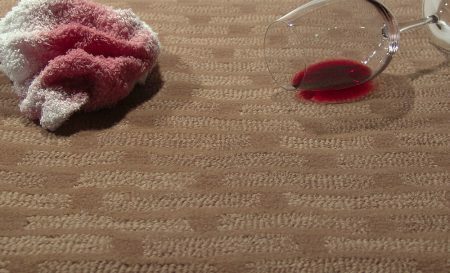 Completely harmless to humans, animals, and the environment; the innovative treatment incorporates antimicrobial technology, and acts biocidically to prevent the development and spread of bacteria, while offering protection against staining and dirt retention. This application is recommended for carpets or upholstery that are subject to frequent use and traffic, commercial use, or textiles that may carry a higher value. Unlike the standard protector, Fiber ProTector withstands professional cleanings and does not need to be as frequently reapplied. Reapplication recommendations vary based on the use and care of the textiles. 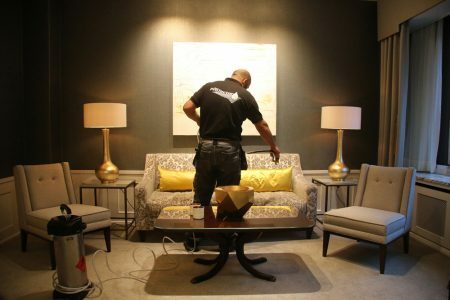 All carpets and upholstery protected when new or not, will require maintenance. 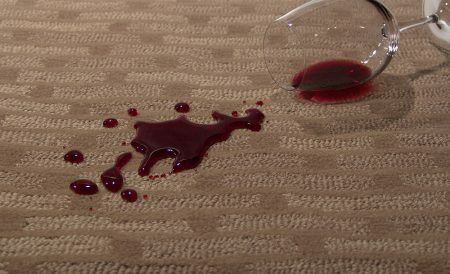 Fiber ProTector treatments will not keep spills and dirt from landing on a carpet or chair; it simply provides easy stain removal and reduced intervals of deep cleaning; thereby achieving considerable savings in cleaning and refurbishment costs. The net effect is that the original appearance can be maintained by routine cleaning.